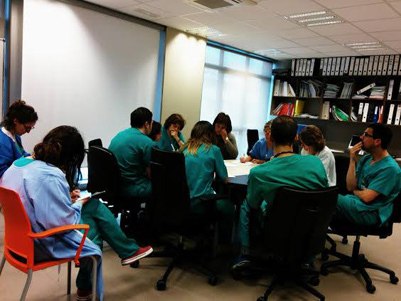 On 19 May 2014, the Department of Anaesthesiology, Hospital Germans Trias i Pujol (Barcelona) invited Laia Foundation for an awareness session where we had the chance to explain the origin of the Foundation, its projects, and explore possible ways of collaboration. We are very grateful for the opportunity to share our experiences and the feedback we received from all the participants. The session was conducted by our volunteer, Jaume Ortega.